Toys, candies and snacks are something that children treasure in their childhood. What more if these come together in a box? 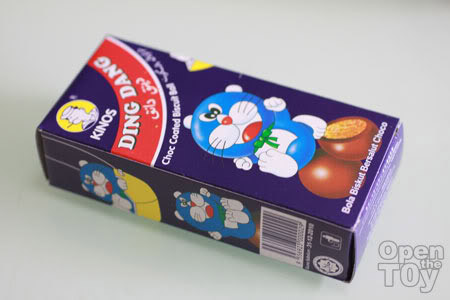 One of my childhood snacks that I saved my daily allowances for was Ding Dang Snack. I was overjoyed to still find one these days as it is very rare to come by. I thought it was out of production. The last Ding Dang Snack I purchase could be more than two decades ago. I hope I am not giving my age away there? When I saw it once more, I know I have to get it. Some of you may know that this product is from Malaysia. 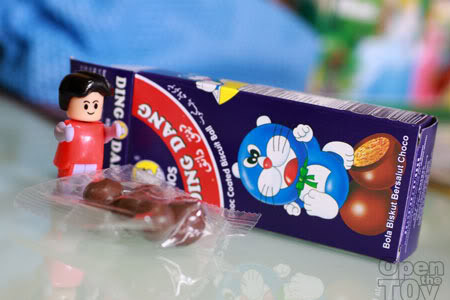 It is a simple snacks, with some mini chocolate balls and a mystery toy. I got a Lego looking toy with movable arms and legs for this purchase. Pretty cool. 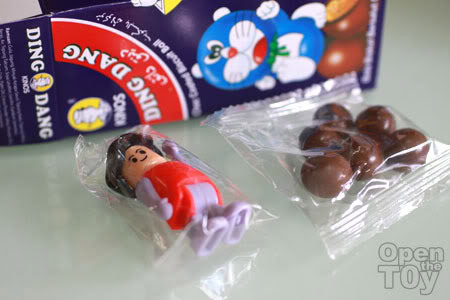 The toy was something that I used to go for and not much of the Chocolates. I remember one Ding Dang Snack cost 50 cents. They used to advertise this snack with the toys on TV. I remember they had a Godzilla looking thumb puppet and I begged my parents for one box of Ding Dang because it look so good on TV. After much begging, my father finally give in to buy me one. I felt like the happiest kid on earth. However when I opened the box, I realized that the toy quality was not like on TV. I felt cheated. I tally my toys with the TV once the advertisement came out and it once again confirmed my finding. The lesson I learned that day, don't believe in advertisement. 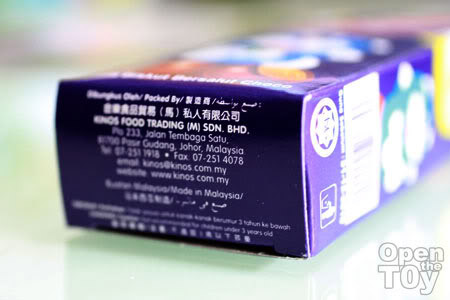 Nevertheless, it still gave me much good memories as this is one snack that my peers and I used to enjoy. To sum it up this snack, I find what Forrest Gump's saying fitting. Join me next Sunday as I will be sharing more of my Childhood toy down my memory lane. If you like this post pass along to your friend by email, Twitter or via facebook. Kinder Surprise was more expensive. Even today. Cool! If we had these in the US I'd buy them up every day! I am sure in US may have other cool snacks with toys right in the early 80s. You remember how much it was for sale that time? In Malaysia right? Yep, I used to buy this Ding Dang all the time when I was really young. my god! havent seen this here for awhile! used to collect these when I was small. 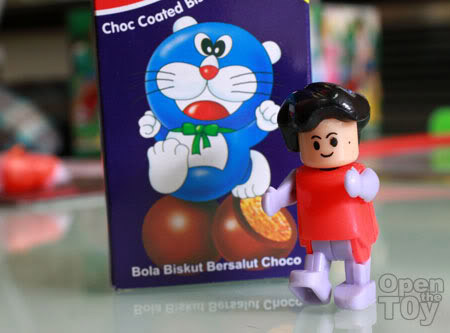 Cause of the ding dang cover, I thought Doreamon was created in Malaysia when I was small = ="
Wow! Hard to believe that this snack still existed. This is also the childhood snack of my era! I'm curious about snack you ate in your childhood. Ya! That toy to put on the finger were the ones I went for that time! Precisely when I saw the snack I decided to buy it too. Good times. Man where did you get this!! So I am guessing you are around Dennis and my age. :P I got this at a local food wholesale shop in Singapore. Only one left that day.